At the center of the galaxy sits Sagittarius A*, a supermassive black hole around four million times the mass of the Sun. If an unlucky star ventures too close, the black hole’s gravity tears it to shreds. But rather than leaving the gassy star corpse to die, Sagittarius A* might ball up the entrails into masses bigger than planet Neptune, and fart 95 percent of them out of the galaxy at 20 million miles per hour, according to research presented at this year’s meeting of the American Astronomical Society. But anyway, scientists didn’t know about the gas clumping. 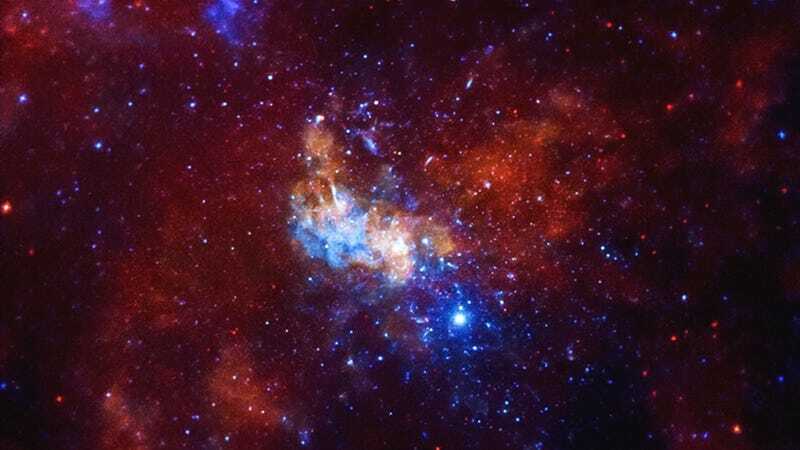 “While tidal disruptions in the galactic center have been a subject of research since the late ‘80s, the idea that actual compact objects could form from this process is very new,” Girma told National Geographic. So, will we find one of these speedy orbs? A few of the balls stick around the Milky Way—the closest might even be a few hundred light years away, according to the release. But they’d be difficult to find, and even if we spotted one, its origin wouldn’t be clear to us.